Masters offers a wide range of products and services at incredibly low prices in Australia. These Masters promo codes expire soon, so don’t forget to bookmark this page now. New Masters discount: Purchase high powered TPE 3KVA Inverter Generator from Masters and save $1,499 on it. Masters free delivery offer: Shop from a wide range of home appliances for $500 and receive free delivery. New Masters discount: Order Red Centre Bayview Sink Module with tap & quick connector from Masters and save $150 on your purchase. Limited time Masters coupon: Grab savings of $45 on ordering 909 559W 200x16mm Bench Grinder from Masters. Exclusive Masters voucher codes: Purchase Werner 1.8m Double Sided Step Ladder at Masters and save $38. Seasonal Masters deal & sale: Get standard Orbit 10W LED Globe Warm white from Masters for as low as $5. Limited time Masters coupon: Order Hande Flat Top Garden Fence from Masters for just $38. Latest Masters promo code: Shop for this lightweight & strong Hills Laundry Trolley that folds easily for storage purpose at just $39.99. Latest Masters promo code: Create a warm outdoor temperature with Red Centre Table Top Gas Patio Heater available for just $69. Masters free delivery offer: Grab Finlay & Smith Corrino Sink Mixer with solid brass construction from Masters at just $170. Masters is a home improvement retailer launched and operated in Australia. Their products relate to home goods and improvement projects and they carry the tools necessary to accomplish projects around the home. The brand launched on 2 May 2011 and the website was rolled out the same day. Masters is operated by Woolworths Limited and American home improvement company, Lowe’s. 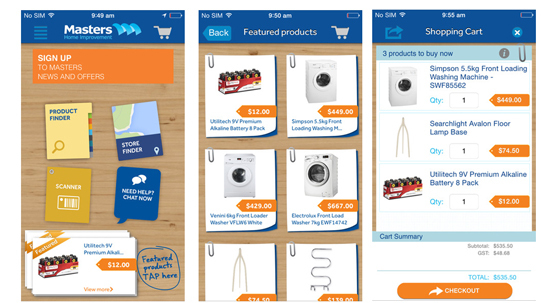 The brand was created to allow Woolworths access to the home improvement and hardware market. Masters inspires shoppers with an Ideas and Advice section that is full of product suggestions, tutorials and guides. The section is broken down further into categories for each room in the house, shopper guides, and ideas for projects around the home. 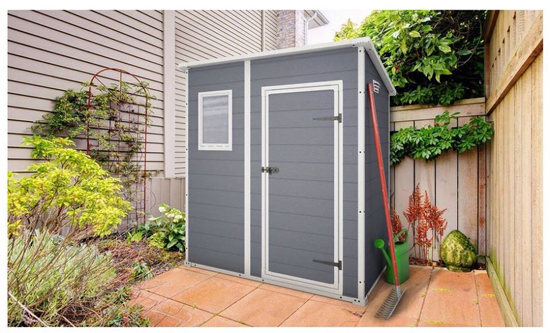 Get amazing offers from top retailers on diverse collection of home & garden items like air compressor, tool boxes, kitchen cabinets and many more at discounted price. Masters has a Best Price Guarantee policy that assures customers will get the best deal. If shoppers find a lower price on an item that Masters sells, even at another retailer, Masters will offer the item at 10% less than the competitor’s price. The clearance section on the Masters website offers options from every category on the site at rock bottom prices. It’s possible to make further savings on the Masters website by using coupon codes. Go through your shopping as normal and head down to the checkout page once you are done shopping. On the shopping cart, you’ll see a section that says Apply Code. Enter the specific coupon code and click Apply. Your discount should now be added to your order. Appliances Online retailer is also known for providing its huge range of products at incredibly low price. The Masters Home Improvement channel on YouTube is the company’s vehicle to deliver information on products and projects. The same types of videos are hosted on the YouTube channel that one finds in the Ideas section on the website. Tutorials and how to guides are the most popular. The most popular how to guide, and in fact the most popular video on the channel, is about deck building. The Masters mobile app is available for Apple and Android devices. It is feature rich and can serve as a way to shop or a portal to more information on home improvement. Shoppers can browse and purchase products in 19 categories. It’s easy to enlarge images and read all about specifications and product features. Customers can see if an item is in stock, and pick a delivery option or choose to pick up in store. Shipping is available by door to door postal delivery to metro and non-metro locations in Australia. If an item is eligible for Postal Delivery, that information will be clearly displayed with the item description. Free postal delivery is available on certain products that display a free delivery badge. Masters offers Risk Free Delivery, a policy that guarantees that any items that are damaged or lost during delivery will be replaced by Masters at no additional cost to the consumer. Shipping costs vary according to location. Please use the shipping calculator on the website to estimate charges. Returns will be accepted with proof of purchase within a period of time that Masters considers to be reasonable given the product. If no proof of purchase is available, Masters reserves the right to make a choice about accepting a return based on the information presented to them. All aspects of the Masters’ Return Policy is in compliance with Australian Consumer Law. Customer support is offered by Masters in a variety of ways. There is a FAQ section of the site with information to answer most popular questions. The Ideas section of the site features information on using the site as well as how to guides and product information. In the event a shopper needs to contact a customer service representative, the following information applies.